Silicon Valley tech giant Google has named Indian-born IIT-educated Sundar Pichai to head its search, ads, maps, Play Store, YouTube, and Android businesses as part of a major reorganization announced by the company. Current Google CEOs Larry Page and Sergei Brin have kicked themselves upstairs to lead Alphabet, a new holding company which will include Google as well as affiliated companies like the life-extension project Calico and a drone delivery venture called Wing, according to media reports. Pichai and other Indian-born individuals in Silicon Valley are often referred to as "FOBs" (Fresh Off the Boat) by American-born Indians. FOBs return the "affection" by calling American-born Indians "ABCDs" (American Born Confused Desis). For those unfamiliar with the Indian vernacular, Pichai's first name Sundar means beautiful. All joking aside, it's a matter of great pride and joy to Indians and other immigrants for one of their own to be picked to head an iconic Silicon Valley tech giant. While Google continues to generate billions of dollars in cash, its revenue growth is clearly slowing. 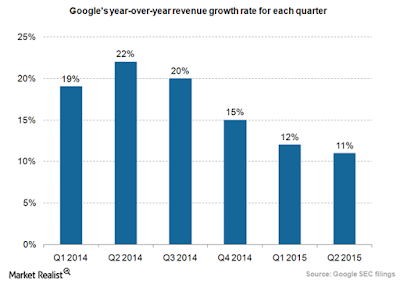 Google's revenue growth has halved in a year-- from 22% annual growth in Q2/2014 to 11% in Q2/2015. The trend is clear: High growth can not be sustained as new social media competitors like Facebook and Twitter grow to target the same ad market. It seems that Google founders Brin and Page have decided to delegate the tending of the cash cow called Google to Pichai. This will free up the founding duo to focus on investing in new ideas to grow other large high-growth tech businesses in the future as Google's ad revenue growth continues to decline. 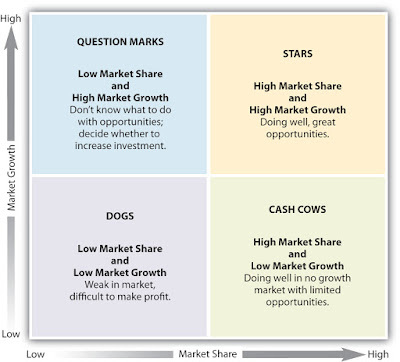 It's a well-known concept first documented by Boston Consulting Group in a matrix with four quadrants: Stars, Dogs, Cash Cows and Question Marks. 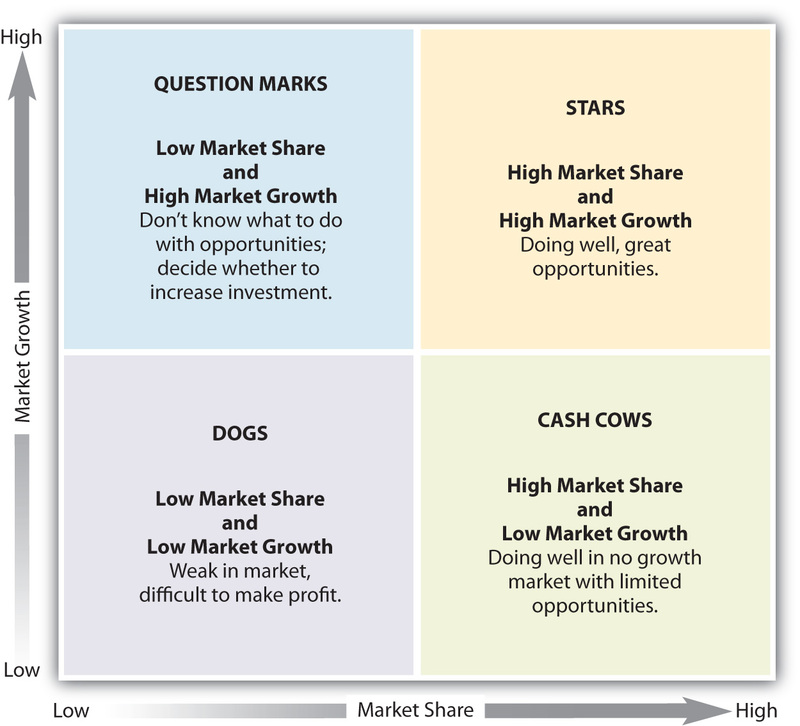 Other high-growth tech companies have found this transition from a cash-cow to new high-growth products very difficult. Apple did well with the PC business but almost failed with its decline until Steve Jobs returned with iPod, iPhone and Tablets to reclaim its high-growth trajectory. Intel and Microsoft continue to struggle since the growth of Wintel PCs flattened. It will be a big test for Google founders to manage this major transition. Major reorganization announced by Google today is a recognition of the difficult transition its founders face. With all its talent, Google probably has as good a chance as any tech company to meet this challenge head-on. Brin and Page must continue to focus on hiring and retaining the top talent to pull it off. “It is very hard to be a broad-based tech conglomerate,” said David Yoffie, a professor at the Harvard Business School. “It makes it harder to manage, which is a challenge for Microsoft (applies to Google as well) no matter who the successor is,” said Mr. Yoffie. Long before Mr. Ballmer announced his retirement, he and Bill Gates, the Microsoft chairman and co-founder, had both quietly acknowledged that identifying a new leader for Microsoft would be hard. A person who spoke to Mr. Gates several years ago on the subject of succession recalls the Microsoft chairman saying he would support replacing Mr. Ballmer if he could think of someone who could do a better job. Mr. Sherlund has speculated that Microsoft could give Facebook, with which Microsoft has an existing partnership, control of Bing, in exchange for a share of revenue from the additional traffic it would drive to Facebook’s site. Mr. Sherlund estimates that Microsoft has accumulated losses of more than $17 billion in the search and online business. Still, while it has sold off or spun out smaller businesses in the past — the travel site Expedia originated at the company in the late ’90s — Microsoft has shown no interest in jettisoning major products. In its defense, Microsoft notes that its long line of products yields many synergies. Xbox uses a variation of the Windows operating system, while Bing provides search services that are tightly integrated with Windows, Xbox and the Windows Phone mobile operating system. 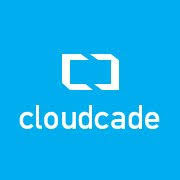 Further, it could be argued that Microsoft’s competitors are recognizing that, like Microsoft, they need to develop products in areas once considered outside their expertise. Google bought Motorola Mobility to help it get into the hardware business. Apple has been on a start-up acquisition binge to improve its online mapping service. And Amazon, once entirely focused on consumers, has become an important supplier of cloud services to businesses.